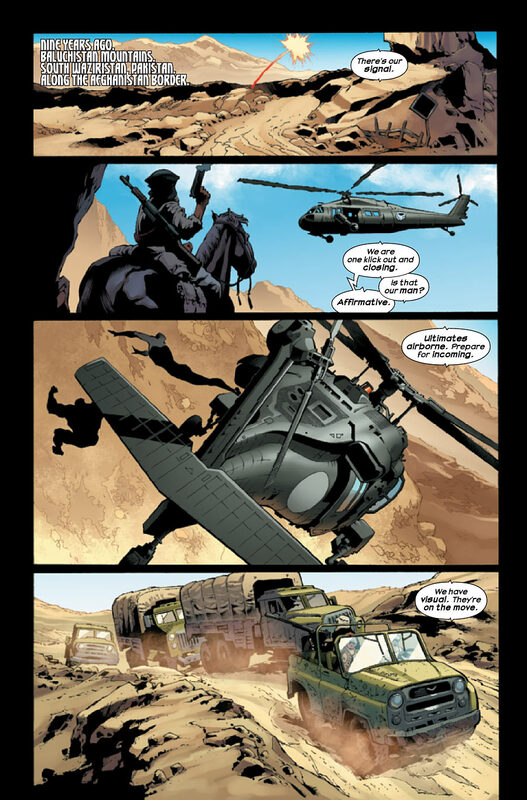 Are there recent depictions of Al Qaeda and/or ISIS as villains in Marvel Comics (non-movies)? 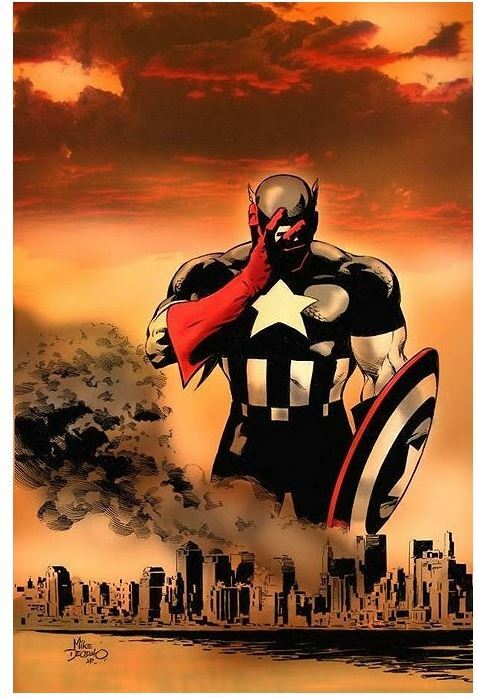 Are there recent Marvel depictions (depiction prior to December 1st, 2018), that actually drew and not just mentioned in dialog, of Al Qaeda or ISIS as a villain in one of their comics? Books only, not interested in the movies. In Secret Avengers #1 (2013), S.H.I.E.L.D. works to bring down Andras Bertesy, a Hungarian arms dealer also versed into dark arts. The guy is reported to want to sell teleportation energy to Al-Qaeda cells, which would enable them to teleport into any building (say, the White House). A deal takes place, with a "high-value American target" at stake. 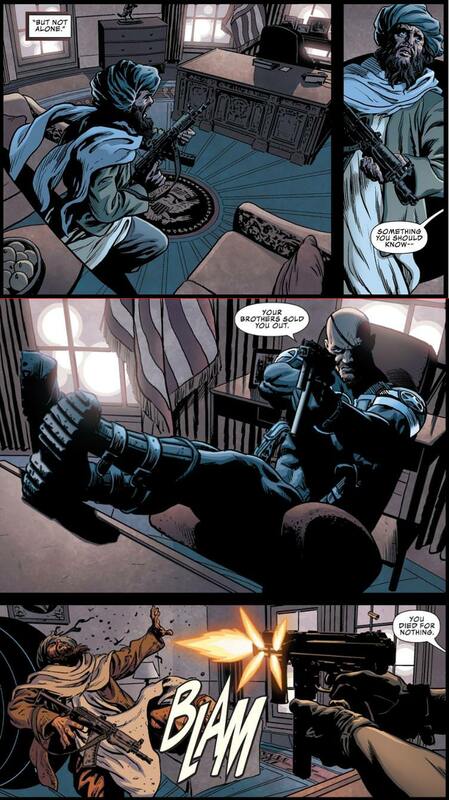 Skip some panels, a terrorist teleports into the Oval Office, only to be greeted by Nick Fury shooting at him. Now as the guy isn't formally introduced, I cannot 100% guarantee he is indeed Al-Qaeda, but given the above dialogue and his rather stereotypical look, he probably is. 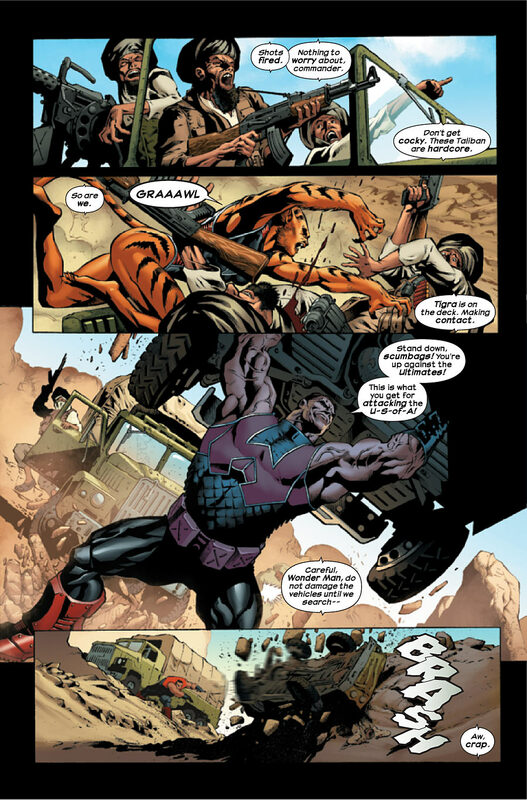 It's a tad bit "cheating" as the comic is a movie tie-in, but in Avengers: Infinity War Prelude #1 (2018), Sam, Steve and Natasha retrieve Chitauri-fueled weapons from terrorists; a truck bearing ISIS' flag (or something really close) is briefly shown. 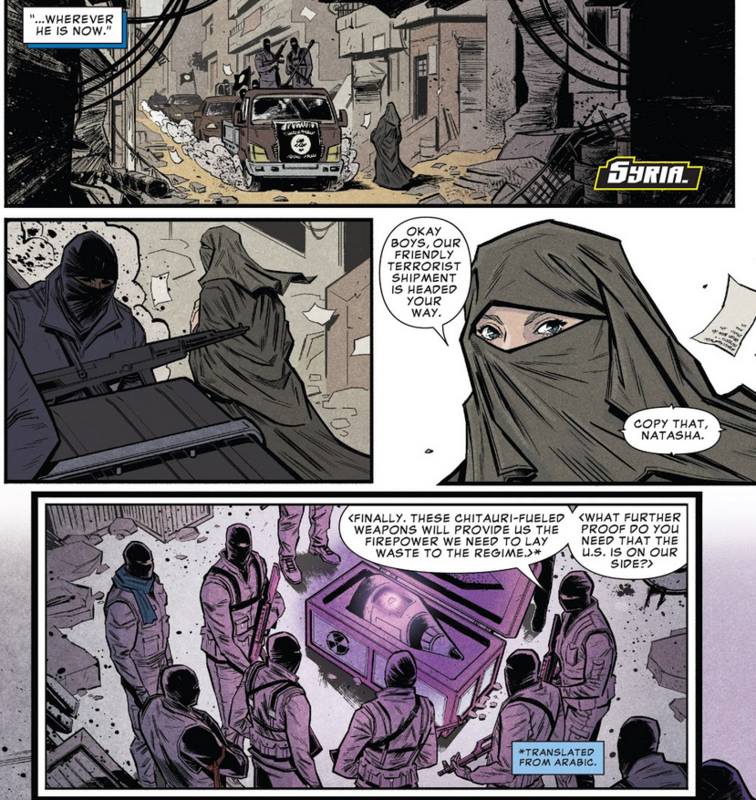 According to the Marvel wiki, within the 616 universe, members of Al Qaeda have appeared in Amazing Spider-Man Volume 2, #36 and Secret Avengers Volume 2, #1. 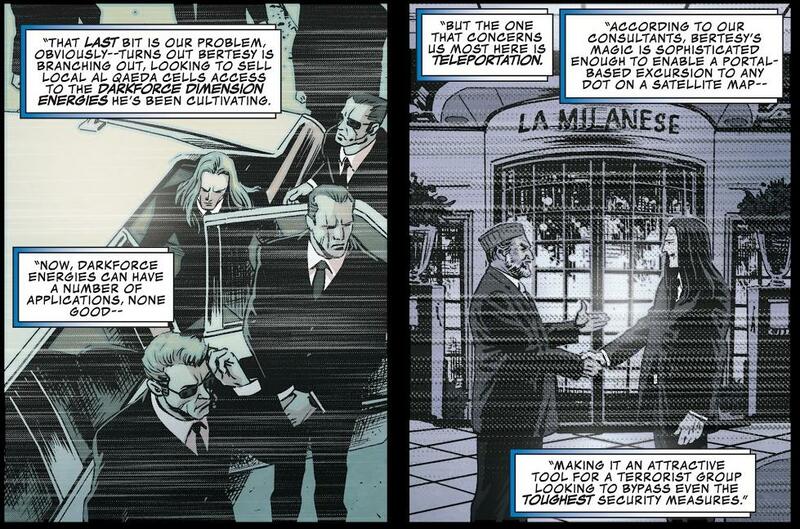 They appeared in the 1610 universe in Ultimate Comics: the Ultimates Vol 1, #22. What Marvel Comics are Accessible to a New Reader? Marvel Comics titles Annihilation and Annihilation: Conquest, which came first? 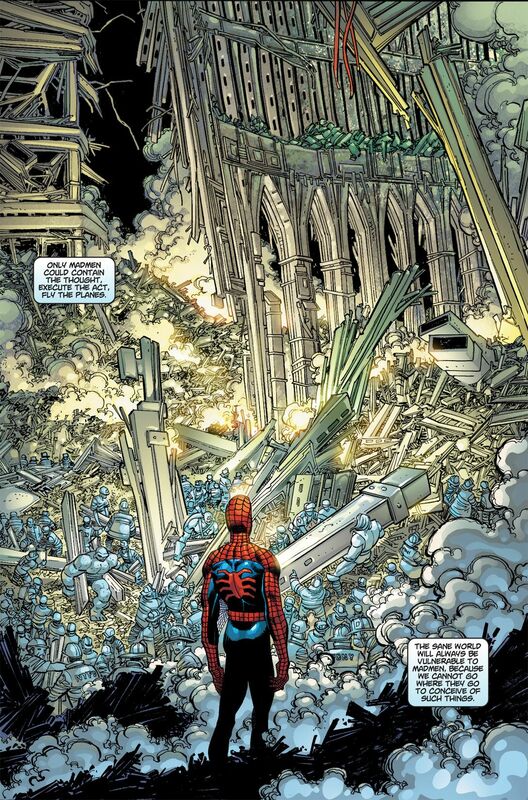 Is there a difference between Marvel and DC Comics' philosophy? Does Marvel Comics have any superheroes/villains from the American Civil War? Most recent original Marvel and DC hero?